Posted on September 21, 2014 by revivewa	in Opinion, Reviews. 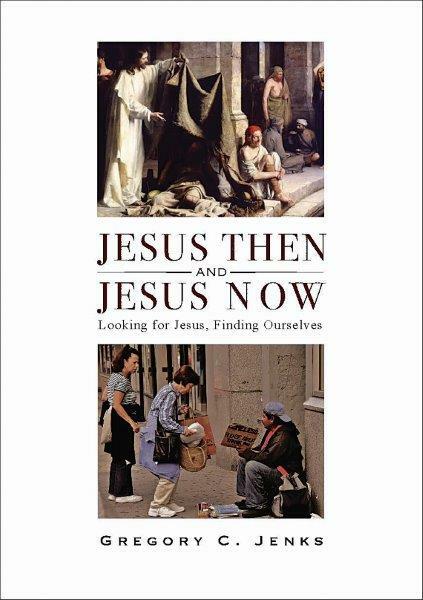 In this book, Jenks, a biblical scholar and Academic Dean at St Francis Theological College in Brisbane, seeks out the actual person, Jesus, who lived and died around 2000 years ago (Jesus then) and to reflect on ways that this Jesus is relevant to our lives and practice today (Jesus now). Drawing from a plethora of source material, Jenks takes the reader on an adventure as he places Jesus into his Jewish Palestinian world of the 1st century. He offers some really refreshing perspectives of Jesus: small town Jesus, out of place in what later became the centre of Christianity – the city; expendable Jesus: one of many who were victims of the systemic violence embodied in the Roman Empire. Jenks also invites us to explore some of the contradictions within the many ways Jesus is identified, and to put our current concepts of Jesus into dialogue with the knowledge and world view of the 21st century. He asks some disturbing questions that challenge the status quo, both in the academy and in our churches. Finally Jenks suggests that we need to ‘develop fresh expression of faith that speak out of and into our time and place,’ which might even allow us to form and sustain communities of faith where what Jesus started is being lived out.